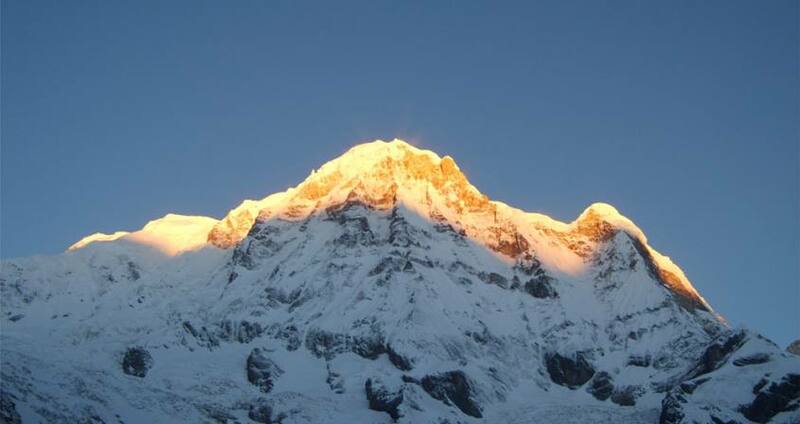 Annapurna is Nineth highest mountain of the world.A combination of majestic beauty and accessibility has ensured that the Annapurna region is the most widely visited anywhere in the Himalayas, with approximately three times more trekkers choosing to trek here than other area. Annapurna Region Treks trails follow the ancient salt trading route up the Kali Gandaki Valley Gorge and the wealth of well-established trading inns, that have now been converted into trekking lodges, The comfortable accommodations as well as good road and air links with Kathmandu, have been instrumental in the great popularity of trekking here. 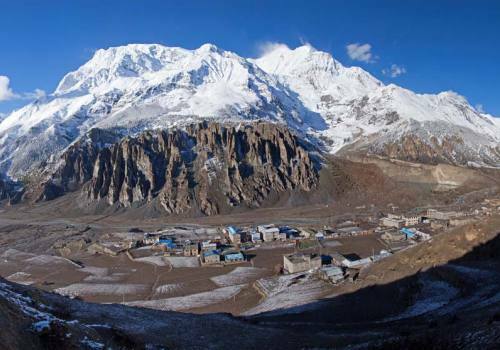 For the Annapurna region, trekkers requires to have an entrance permit of Annapurna Conservation Area Project (ACAP Permit), which cost USD 20 Per person. To trek in Annapurna Regions of Nepa,l trekkers need to pay USD 20 for the TIMS Card. 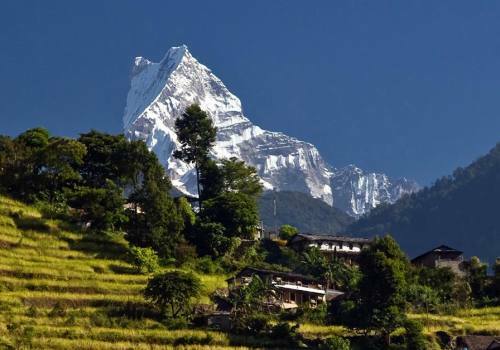 Pink mountain treks and Expedition would like to recommend the best seasons to trek in the Annapurna region are Autumn (from mid-September till November end) and Spring (from the beginning of March until mid-May). Temperatures will drop considerably as you trek higher everyday. The nights are cold (between -20 C to 5C) but the days are sunny and hot (between 10C to 30C). The mornings are usually clear, with clouds building up during the afternoon, disappearing at night. Trekking during the monsoon and winter is not recommended; as the visibility during monsoon is limited, high pass (Thorung la- 5416m) gets covered up with snow during winter. 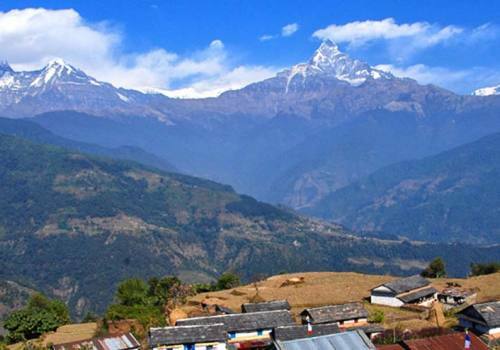 Mostly Annapurna Region Trekking Route go through the Pokhara and end at Pokhara.But Round Annapurna Trek, Annapurna Sanctuary Trekking route go through either Phedi or Nayapul and end at Besisahar of Lamjung District or Start from Besisahar and end at Phedi or Nayapul of Kaski District. 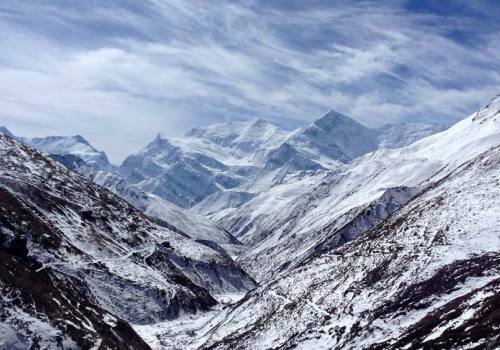 Pink mountain treks and Expedition graded each Annapurna Region Trek based on the level of terrain, length of walks, highest elevation and climate. 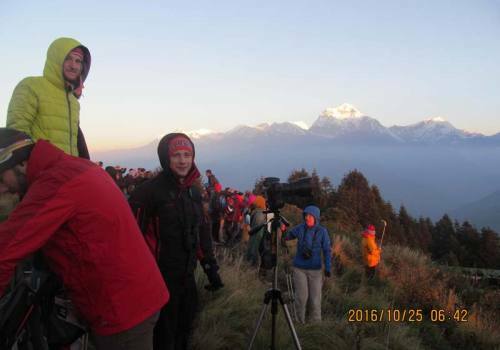 Soft or Easy: Experience is not mandatory for an easy trek in Annapurna Region Trek in Nepal. Maintained paths and with easy access to modern amenities, easy treks in Annapurna Region have 4- 6 hours each day over steep hilly terrain on usually rough trails but no real extremes of weather. Soft trekking adventures in Annapurna Region reach up to 3500 gaining 400-700 meters every day. Moderately Challenging: In moderately challenging treks you are likely to walk for 6-7 hrs every day, cross steep hilly terrains to Annapurna Region in high altitude area over 3500 meter till 5545 meter. 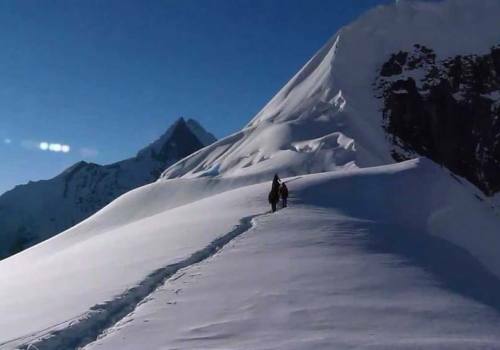 These treks come across occasional high passes with daily ascend and descend of around 500-1000m. You are likely to be on a remote environment with extreme weather in some days where you might be facing high altitude air with low level of oxygen and only basic facilities on some nights. Previous trekking experience, physical fitness and positive attitude are therefore essential. 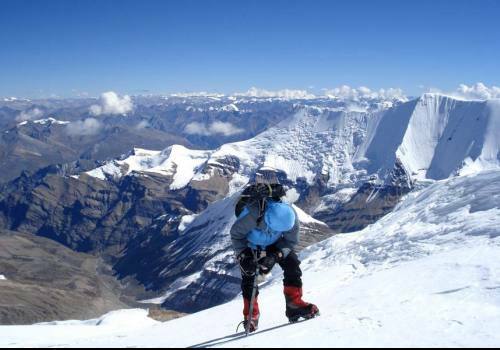 Extremely Challenging: You will be walking for 6-8 hours per day or longer on very high altitude with tough daily ascend and descend of around 500-1000m. 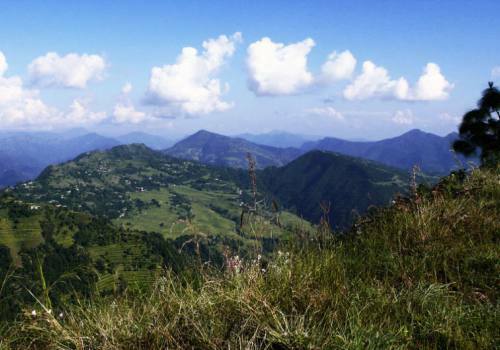 Extreme treks also involve remote, wild environment with extreme weather at times and availability of only few facility, perhaps for extended periods. You will also be trekking on minor trails and difficult terrain including snow or scrambling sections. Therefore, trekkers require having high level of physical fitness along with optimal level of experience and positive attitude. It is better to have experience of camping experience on the cold weather. Personal medical supplies - dont forget band-aids and tweezers. For trekking in the Annapurna region, you will need walking boots, sleeping bag (3 seasons), waterproof jacket and trousers, fleece jacket, warm hat and gloves, sunglasses, water bottle, sun-screen and day pack. 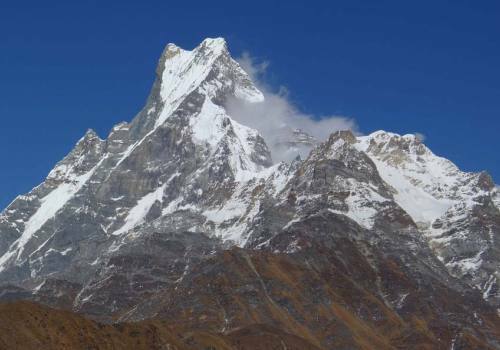 Pink Mountain Treks and Expedition Nepal is committed to providing the best services which will give you a once in a life time journey in this connection, we perform our duties security, honestly and seriously to make your journey very smooth and pleasant. High Altitude sickness, knee problem during your trek, bad weather and rainning, cloddy and fuggy weather, less facilty based tea house are the main difficultiy of Annapurna Region Trekking. 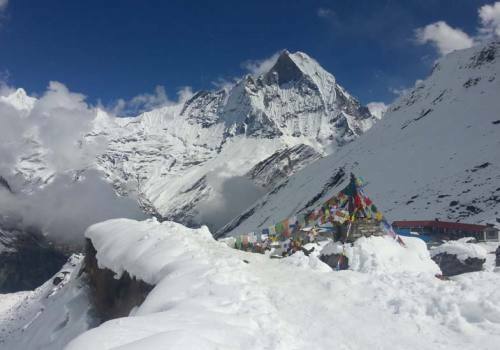 Annapurna Trekking Itinerary: Please send your email to Pink Mountain Treks and Expedition's email adress.......for the Itinerary of specific trek to Annapurna Region Trekking. 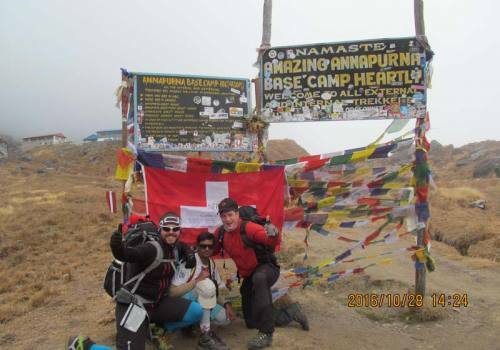 During the Annapurna Basecamp Trek your main luggage will be carried by porters if you hired them. You simply carry a day pack with water bottle, camera, sun-screen, spare jacket, etc. - a small load that allows full enjoyment of the trek. A trek bag is ideal for your main luggage, plus a small lockable bag for travel clothes or anything that you do not need during trek which you can leave at hotel’s locker room/safe deposit box in Kathmandu or Pokhara for free of charge. 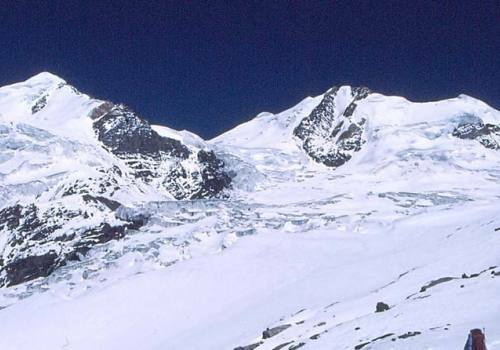 The Gurungs are the largest group in the Annapurna region. 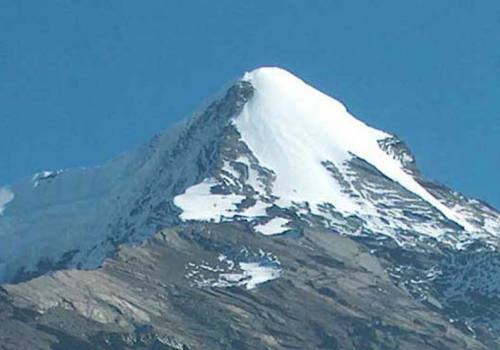 They inhabit the higher northern slopes of the Annapurna, Lamjung, Chuli and hills around Ganesh Himal. 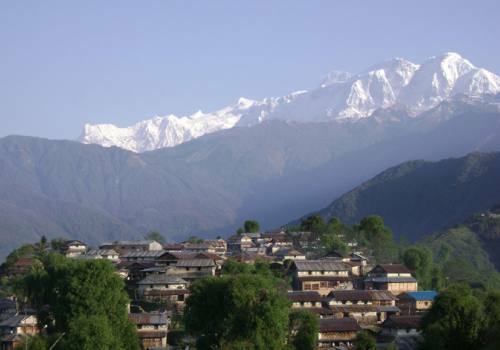 The immediate vicinity of Pokhara is largely populated by Chettris and Bahuns (Brahmins).They also live around the historic site of the old Gorkha kingdom. 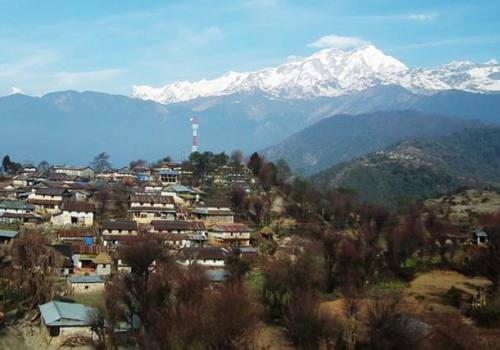 The Magars inhabit the lower trail between Baglung and Dana. They live high on the steep ridges along the tributaries of the Kali Gandaki. Another ethnic group of this region is the Thakalis. Known throughout the country as accomplished hoteliers and skilled traders, they are noted for their aggressive trading spirit. They make up one of the few richer groups of people in Nepal. 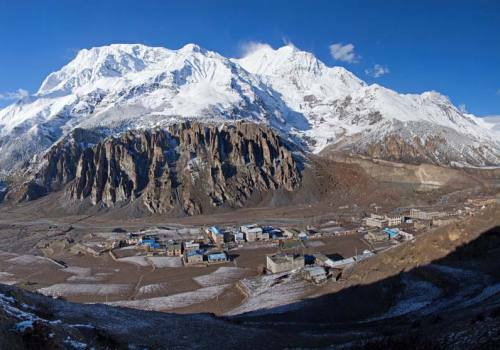 The Jomsom trek passes through Thak Khola, the Thakali homeland. In the valley of the Muktinath live the Baragaun Bhotiya. 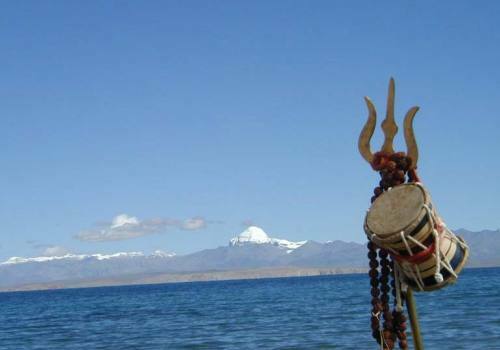 Their lifestyle is similar to that of the Tibetans. Another group of people who share a close affinity to the Tibetans are the Lopa people of Mustang, north of Kagbeni. Some of them practice the ancient pre-Buddhist religion of Bon which is infused with animistic and shamanic belief and ritual. The people living in the upper Marshyangdi valley are generally known as Mananges.